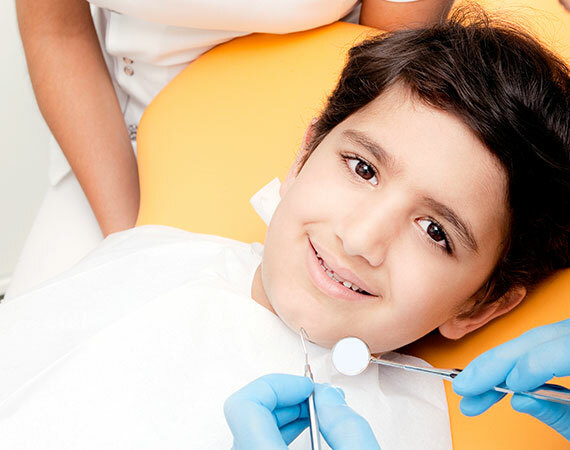 Parents know good oral health for your child means daily brushing followed by flossing. Recent studies have shown that more than 60% stop short of flossing on a regular basis. Brushing alone cleans the visible part of the teeth missing the spaces in between teeth where acid buildup can cause tooth decay. There are different types of floss available for specific needs so read on to find out more. Dental tape is a better solution to floss to clean the hard to reach spaces in between your child’s teeth. Wide and flat it’s easier for small hands to grasp with less chance for them to apply too much pressure and harm exposed gums. When teeth have no visible gaps it makes flossing difficult and waxed floss helps it glide easily between teeth. Thinner than dental tape be careful your child doesn’t apply too much pressure and cut their gums. Flossing with braces or other orthodontic device presents the challenge of reaching all the spaces and floss ends up getting shredded. Floss threaders are made especially to help those with braces to access those hard to reach places. Spongy floss is another product for those wearing braces or orthodontic devices. Ultra floss with it’s waxed coating is a good choice if your child has gaps of different sizes between their teeth. This waxed floss can be stretched thin to easily slide between tightly bunched teeth and it’s width works well in larger spaces. Brushing twice a day is important in addition flossing every day can help your child prevent tooth decay. 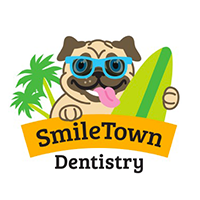 SmileTown Dentistry specializes in children’s dentistry throughout Vancouver and we can help parents teach their child proper brushing and flossing techniques. 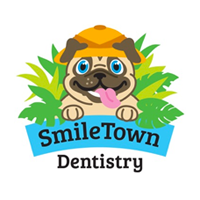 During your child’s checkup we can offer suggestions on proper brushing and flossing techniques or any other concerns you may have.